Updates to Dennis Lee's profile since your last visit are highlighted in yellow. 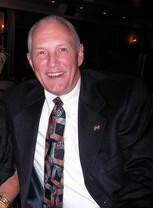 After leaving military service (U.S. Army) in early 1969, married Patricia started my family. Worked a year for Carnation Company, Dallas, Texas, before being hired back to the Washington, D.C. area to work with the Defense Intelligency Agency. Moved into federal acquisition in 1972, with the U.S. Department of Labor and later with the Federal Aviation Administration until retirement from the federal sector in early 2002. Worked with Skylink USA to help stand up the airbases in Basra and Baghdad from 2003-2005 and am now working with my son managing EURUS GROUP, LLC a Service Disabled Veteran Owned Small Business providing project and program management and acquisition support services to the federal sector and related industry. Fully retired end of 2016. 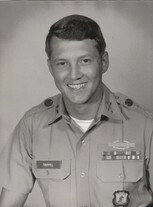 After leaving the University of Nebraska entered miliatry service and graduated from Officer Candidate School, Ft. Benning, Georgia, as a 2nd Lt./Infantry in 1966. Finished undergraduate degree at The George Washington University, Washington, D.C.
Dennis Lee Trippel added a photo to profile gallery. Looking down on the village of Durnstein, Austria. Durnstein is where Richard the LionHeart was imprisoned for three years following the loss of Jerusalem to Saladin in the 1190s. Great view of the beginning of the Wachau Valley along the Danube.